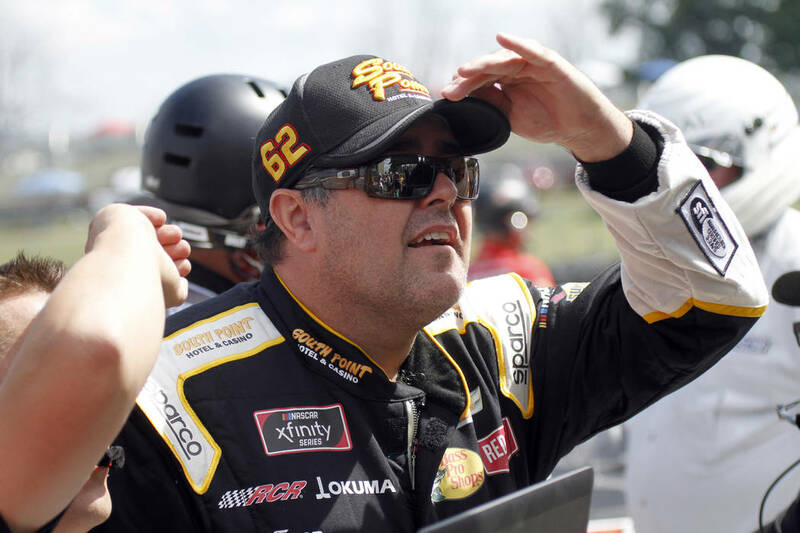 When Brendan Gaughan learned there would be a race featuring full-bodied NASCAR stock cars at the Las Vegas Motor Speedway dirt track, it was time to step out of semi-retirement again. He grew up racing fast cars in the dirt. 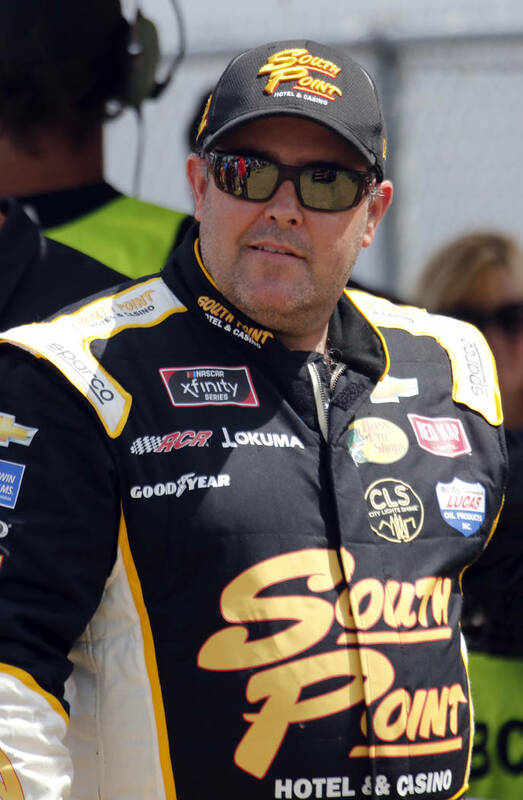 So when Brendan Gaughan learned there would be a race featuring full-bodied NASCAR stock cars at the Las Vegas Motor Speedway dirt track, it was time to step out of semi-retirement again. 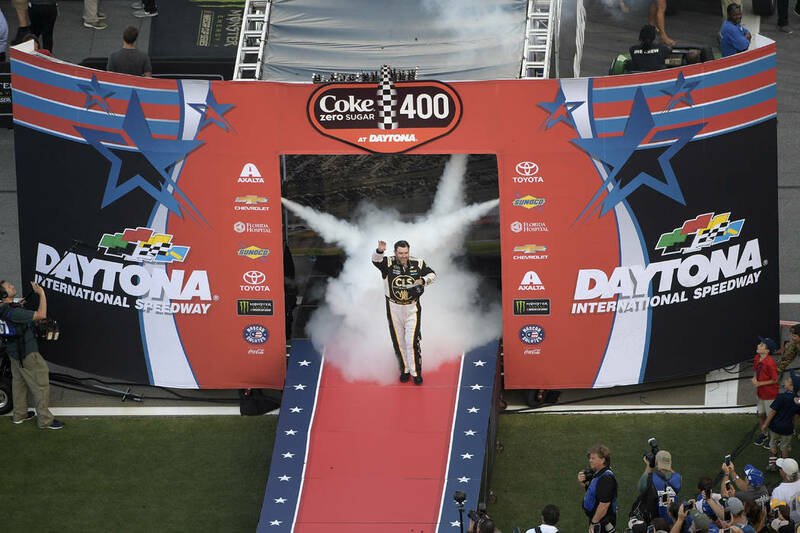 Gaughan and Xfinity Series star Christopher Bell will be guest drivers in Thursday night’s Star Nursery 100 K&N Pro Series West race kicking off South Point 400 NASCAR playoff weekend. Both will drive for Bill McAnally Racing — the same team for which Gaughan won series championships in 2001 and ‘02 before jumping to NASCAR’s major leagues. “This is the first dirt race in like 40 years in Winston West, K&N racing, and (Bill) wanted to get us all together,” said Gaughan, 43, who stepped out of his Xfinity Series ride after the 2017 season to brew legal moonshine and learn the family business of managing hotel-casinos. But winning again on his other hometown track will be more difficult with the team having added Bell to its stable of drivers, and series points leaders and teammates Derek Thorn and Ryan Partridge poised to defend their turf. “I’m a little (mad) at Bill,” Gaughan said in jest. “You bring me in, and then you bring Christopher Bell in. And then he’s got Hailie Deegan, who, if there’s going to be a regular that I would have to put my money on as the favorite — she is very well-versed in many disciplines. In addition to racing in desert dirt on his way up, Gaughan also has a top-five finish in NASCAR’s only dirt track race at Eldora (Ohio) Speedway driving for Richard Childress in the Truck Series. He sees the K&N Race mostly as a chance to have fun with old pals, rather than a trial balloon for the Cup Series running on dirt some day. “Everybody loves to talk about that but I like it right now that it’s just Eldora — it’s special for the trucks,” said Gaughan, who won eight races in the Truck Series, two in Xfinity and continues to drive in major Cup Series races for car owner Mark Beard’s small outfit. For Gaughan, this is the “Blues Brothers” movie when Jake and Elwood put the band back together. “It’s a nostalgia thing,” he said. ■ Cup series: NASCAR playoffs Q&A, South Point Showroom, noon; NASCAR playoffs burnouts, Las Vegas Strip, 2:30 p.m.; autograph session (Kevin Harvick, Kurt Busch, Clint Bowyer, Noah Gragson and Riley Herbst), LVMS dirt track, 6 p.m.; NASCAR playoffs party (Martin Truex Jr., Chase Elliott, Ryan Blaney; country music star Cole Swindell), Fremont Street Experience, 7 p.m.
■ Truck series: Practice 2:05 p.m., 4:05 p.m.
■ K&N Pro Series West (dirt track): Practice, 12:15 and 1:15 p.m.; qualifying, 4 p.m.; autograph session (Christopher Bell, Brendan Gaughan), 4:30 p.m.; qualifying races, 6 p.m.; Star Nursery 100 NASCAR K&N Pro Series West Race (100 laps), 8 p.m.
■ Cup series: Practice, 11:05 a.m.; qualifying, 4:35 p.m.
■ Xfinity series: Practice, 12:05 p.m., 2:05 p.m.
■ Truck series: Autograph session (Neon Garage), noon; qualifying, 3:05 p.m.; World of Westgate 200 (134 laps), 6 p.m.
■ Cup series: Practice, 10 a.m. and 12:30 p.m.
■ Xfinity series: Qualifying, 11:10 a.m.; DC Solar 300 (200 laps), 2 p.m.